Ubisoft has announced that Beyond Medusa’s Gate, the second location-based VR Escape Room Experience developed by Ubisoft Blue Byte, is launching on May 7 at locations across the US and Europe. 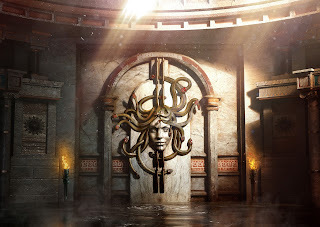 Beyond Medusa’s Gate builds on the success of Blue Byte’s first VR Escape Room, Escape the Lost Pyramid, and is available exclusively at location-based entertainment centers for cooperative multiplayer VR. All current and future locations can be found below. With the development and operation of this new experience, Ubisoft continues to strengthen its position in the location-based VR market.